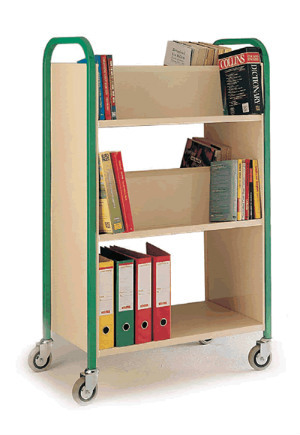 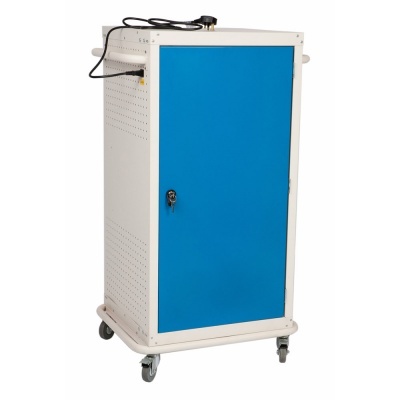 Sturdy book trolley with all-steel construction and 150kg storage capacity. 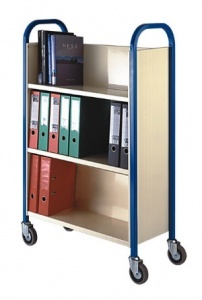 Available as a low-level 2-tier or taller 3-tier trolley suitable for use in an office, library or classroom. 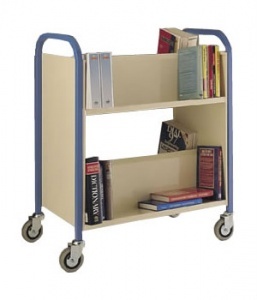 Single sided book carts are used for storing larger books and come with a flat shelf, double-sided units have a flat shelf at the bottom with angled shelves above that are perfect for storing smaller items. The book trolley moves on wheels of 100mm dia. 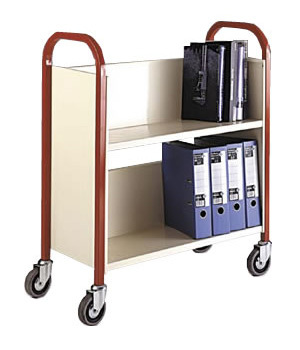 that feature non-marking tyres, making it perfect for use on hard floors. 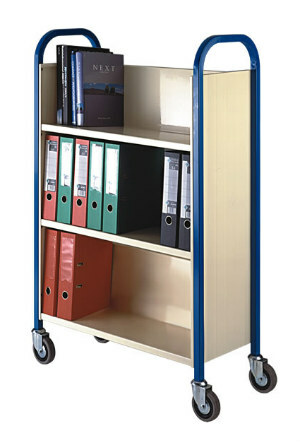 Most commonly used as a mobile library trolley but suitable for any environment where books and/or files need transporting between locations.